The World’s Finest has obtained a commercial promoting this weekend’s Beware The Batman marathon on Adult Swim’s Toonami programming block. The marathon, airing Saturday, September 27th, 2014 from 2:30 – 6:00am (ET/PT), will air all seven remaining unaired episodes from the short-lived Beware The Batman animated series. The marathon, just announced at the start of the week, came about when programmers behind the block found out they would be losing broadcast rights to the series at the end of the month, as Cartoon Network has “financially written-off” the acclaimed show. Further details on the marathon, including episodes-specific episode loglines and more, can be found here. Click on the player below to check out the new commercial. 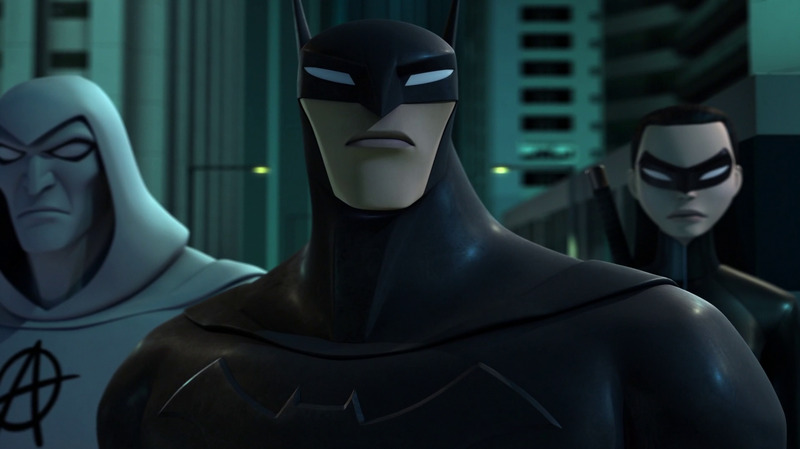 Adult Swim picked up Beware The Batman to air as part of the Toonami programming block back in May 2014, promising to air all 26 episodes of this complex, novel take on the classic DC Comics character. The CG-animated series originally aired on Cartoon Network as part of the now-defunct DC Nation programming block, but was removed from the schedule in October 2013 for still unexplained reasons. In a last-minute schedule change, the Toonami programming block on Adult Swim will be airing the final seven episodes of Beware The Batman this Saturday, September 27th, 2014 starting at 2:30am (ET/PT) and running until 6:00am (ET/PT). 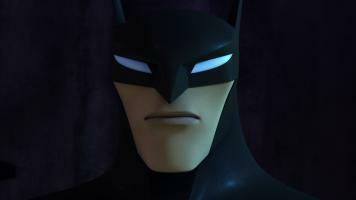 According to representatives from Toonami, the programmers behind the block were informed early Monday, today, that Beware the Batman is being financially written off by Cartoon Network as of the end of the month. So, the programmers behind the fan-friendly Toonami programming block have decided to air all the remaining episodes before the show is no longer available for network broadcast. 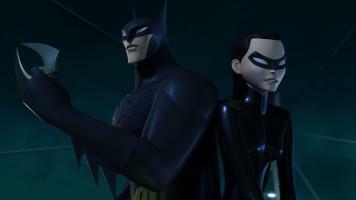 This comes less than a week after Adult Swim, the counterpart network for Cartoon Network, announced the Beware the Batman would be moving to an earlier timeslot. Representatives are calling this event “one last Bat-blowout” for fans of the acclaimed, under-rated CG animated series. The show will not be part of the Toonami programming block starting October 4th, 2014. Continue below for an episode rundown of the special marathon. When Bruce Wayne is “assassinated” by Batman, he lets the world think he’s dead and goes in search of the imposter – the Bad Batman. Batman continues to work in secret to find answers, while Harvey Dent recovers in Gotham Hospital. Blaming Batman for everything, he enacts martial law in Gotham. When Alfred is taken hostage by Deathstroke in the Batcave, Batman must face him alone. Harvey Dent reveals his true nature as Two-Face. Adult Swim, representatives of which said the network was committed to airing all 26 episodes of the Beware The Batman animated series, will stay true to it’s claim thanks to this last-minute Toonami “Bat-blowout” marathon. The CG-animated series originally aired on Cartoon Network as part of the now-defunct DC Nation programming block, but was removed from the schedule in October 2013 for unexplained reasons.